Once commonly seen on powerful, intimidating folk like the notorious ‘40s gangster or the power-hungry investment banker, the double-breasted suit is making a modern comeback. Today’s double-breasted suit has been updated to feature leaner sleeves and a slimmer fit overall—a flattering update to what was once a boxy, heavy style. Here’s everything you need to know about wearing this bold suit choice, from the right fit to the best occasions to wear one. The modern double-breasted suit is sleeker and more sophisticated than the cut of older styles. It’s a lighter, more minimalist look, so you can do away with pleats and cuffs on your pants, which were previously meant to balance out heavier jackets. A shorter jacket cut elongates your frame by showing more of your legs, and higher cut armholes and reduced bulk in the shoulders create a cleaner, sharper look. 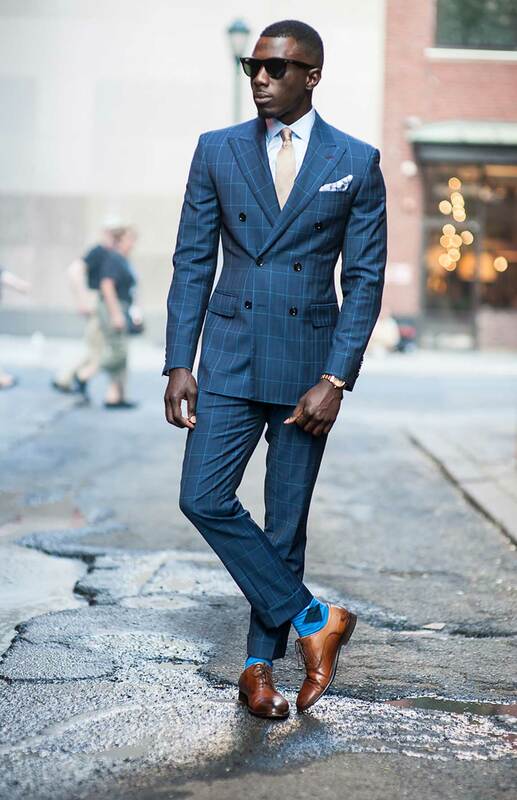 This suit style may not be for everyone though—wide lapels and the typically shorter jacket length are generally better if you’re taller and leaner as they emphasize the shoulders and a narrow waist. Overlapping jacket panels can be widening and enhance the illusion of looking shorter and heavier. 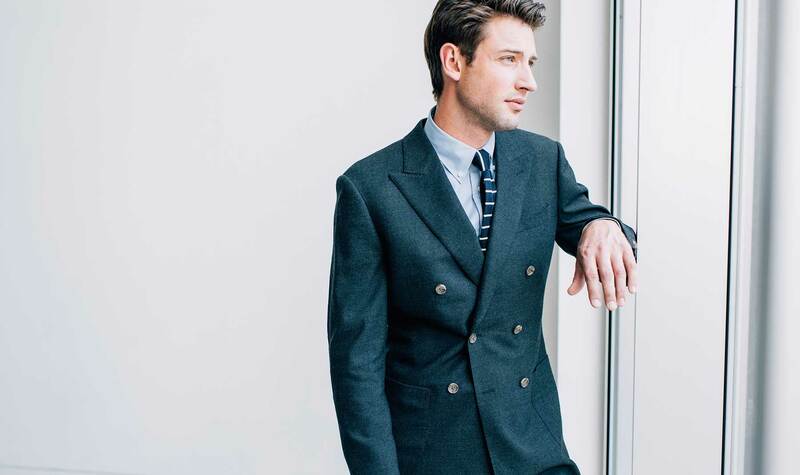 While you can wear this suit to the office if you’re feeling like making a style statement, depending on the company it can come on a little strong at a job interview or any other situation that calls for a more conservative approach. Pull out the double-breasted suit for big social occasions like a wedding or a night out on the town—it’s an impressive, eye-catching choice, one that’s sure to get you noticed (in a good way). The Indigo Windowpane Suit on urbanfieldnotes.com. 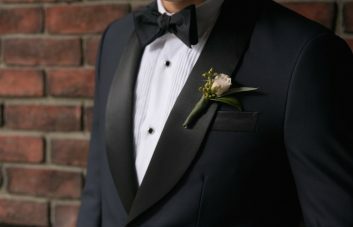 You can distinguish a double-breasted suit from a single-breasted variation by the buttons on the jacket. A double-breasted suit has two columns of buttons, the number of which vary, depending on the suit’s construction. The two typical button structures are “6 x 2” and “4 x 2”. The first number refers to the overall number of buttons on the suit, and the second is the number of buttons that can be fastened. The “6 x 2” version is the standard. If you’re just going to go with one of the two double-breasted styles, make it this one. Always keep the middle button fastened, regardless of whether you’re sitting down for a meal or standing up to make a speech. Keep the inner middle button (called the anchor button) done up at all times as well to help keep the jacket’s structure and shape. Lastly, complement your double-breasted suit with a navy dotted herringbone tie or a glacier gray tie, two understated accessories that won’t overpower your look. Whether or not you decide to try the double-breasted suit, we encourage you to try one on for the swagger factor alone. No longer relegated to suave ‘60s ad men or stuffy politicians, this modern take on the classic style is surely worth a second look. Ready to double up? Find the perfect double-breasted suit for you.